The official 2015 ICC World Cup 2014 Fantasy Cricket offers the most comprehensive match coverage! Challenge your understanding of the game by creating your Dream Team for each and every match of the biggest event on the cricket calendar; the ICC World Cup 2015. 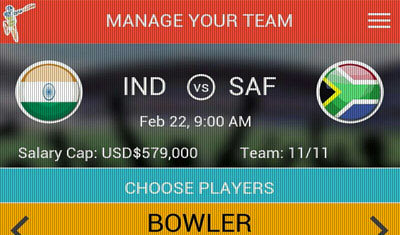 Create and track your Dream Teams to compete with your friends and the world! Watch you team climb-up the leaderboards and WIN points and real rewards! Catch every match on-the-go with our unique, interactive match commentary. Compete against your friends to make live match predictions. Get live scores, ball-by-ball interactive commentary, stats, player profiles and breaking news for FREE!!! Experience and track the game in a unique way with our interactive commentary. 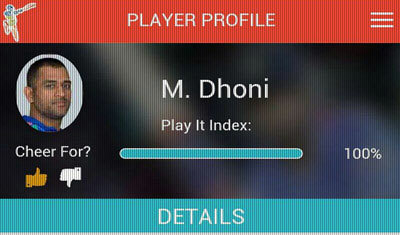 The ICC World Cup 2015 – Dream team app will ensure you never miss a moment of the action packed cricketing extravaganza! We are constantly working to provide you with the best Cricket experience. If you have any feature requests or feedback please contact us at info@playitinteractive.com! Download the app now and experience the Game like never before! PLEASE NOTE: This game is completely free to download and play. However, some game power-ups can be purchased with real money within the game. You can restrict in-app purchases in your store’s settings.